When it comes to shopping for engagement rings we’ve got a few tips for you. However, in this case we’re only talking about the most popular shaped ring; that’s right, the pear shaped engagement ring is quickly becoming the most popular ring shape for current brides everywhere. In fact, after superstars Paris Hilton and Cardi B snagged a huge pear shaped ring, it instantly became the global trend, and here’s why…. Pear shaped engagement rings say joy, happiness, and forever. The stunning shape of the ring is so elegant, you can dress it up with side stones or let it stand alone; either way, it stands out. Not only does this ring have significant meaning but it’s also flattering on the hand. The pear cut gives the finger an elongated look, for a more elegant subtle look. This shape is not bulky or odd, rather it’s sleek and goes with the shape of some ladies hands. 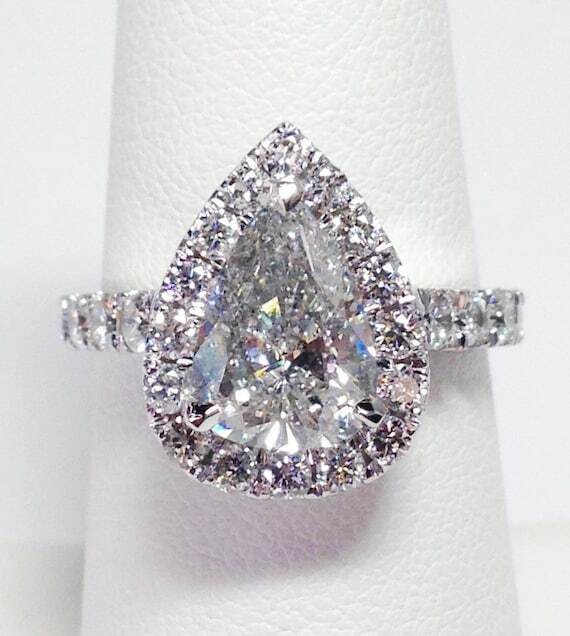 However, the pear shape is not for everyone and it use to be a more rare engagement ring design. 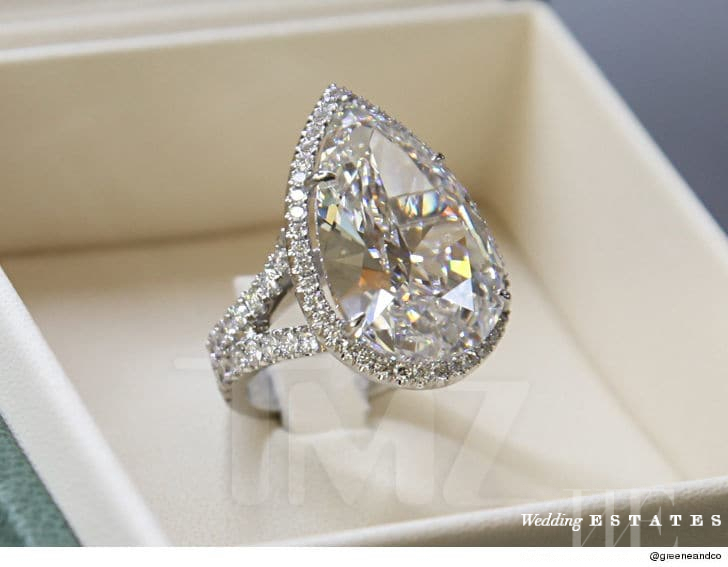 Paris Hilton is easily a bride that stands out for having a gorgeous pear shaped engagement ring. Her ring is double paved with side stones on each side, not only that, the large diamond in the center also sits up above the side stones. This makes the center stone pop and looks more elegant. Anna Kournikova rocks this gorgeous pink center stoned pear shaped engagement ring on the court. The pink center stone is an elegant and pretty way to add some of your personal style / favorite color, or even birthstone. Cardi B is another celebrity with a pear shaped ring, she flashed her huge pear shaped rock on the red carpet at an event. It’s safe to say her ring is gorgeous and blinged out with tons of side stones. In conclusion, we love all rings. Who can say no to diamonds? However, we wanted to shine a light on a current trend as well as give you some examples!